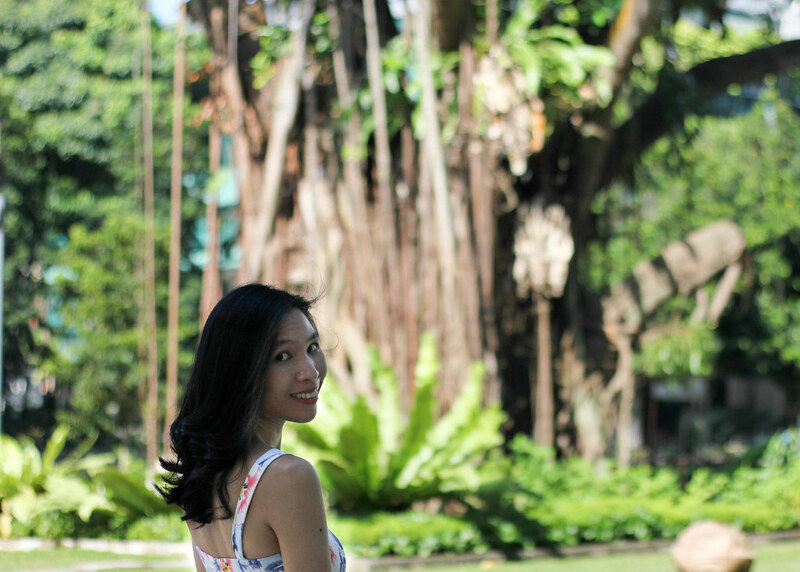 From searching for good food in Singapore, to traveling abroad to visit pristine beaches, my hair is always very dry and fizzy under the scorching hot sun. (Honest review) I tried the Olaplex and Davines treatment at Kenjo Salon and absolutely loved it. The treatment helps to keep my hair moist and firm all these while. I would say that the treatment is similar to insurance for my hair. Olaplex is a bond multiplier which is unlike any other product on the market. This actually links broken disulfide bonds in the hair, allowing you to restore the strength, structure and integrity of the hair before, during, and after services. It is not a conditioner in anyway whatsoever as it does not coat the hair in silicone. It is also not a protein as that coats the hair. 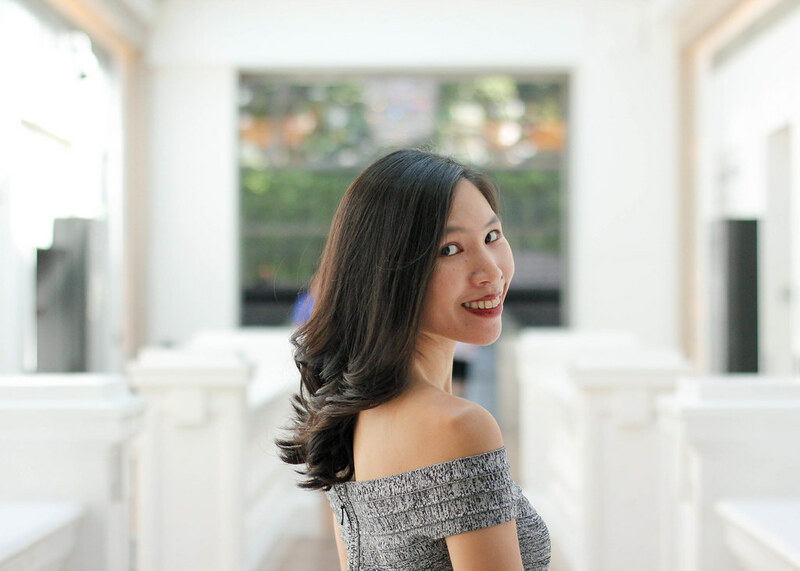 If you’ve been following my Instagram or blog, you might have already read about my experience doing the Signature Perm with Omega Therapy Oil Treatment using Mucota at Kenjo Salon. Olaplex can be an add-on service for hot & cold perm, as it helps to improve elasticity, giving you strong bouncy curls. Besides that, Olaplex treatment complements hair colouring services as it leaves your hair with a longer lasting colour with more vibrancy. If you’ve bleached your hair, do note that Olaplex dramatically eliminates breakage, so it’s highly recommended. Lastly, for those who are going for re-bonding, Olaplex treatment will help restore strength, structure and integrity of your hair. During the treatment, Olaplex No. 1 was applied onto my hair for 5 minutes, before Olaplex No. 2 was applied for 25 minutes. My stylist, Justin Teo, washed the Olaplex solutions off using Davines shampoo and conditioner when the time was up. This is followed by a 15 minutes Davines Replumping treatment. This no-rinse treatment compacts, tonifies and replumps hair structure. It gave my hair longer lasting hold and excellent anti-humidity effect, leaving it compact and voluminous with a healthy glow. In line with the Great Singapore Sale, customers who buy any 2 Essential Haircare products will receive a Replumping Hair Filler Superactive (100ml) for free. 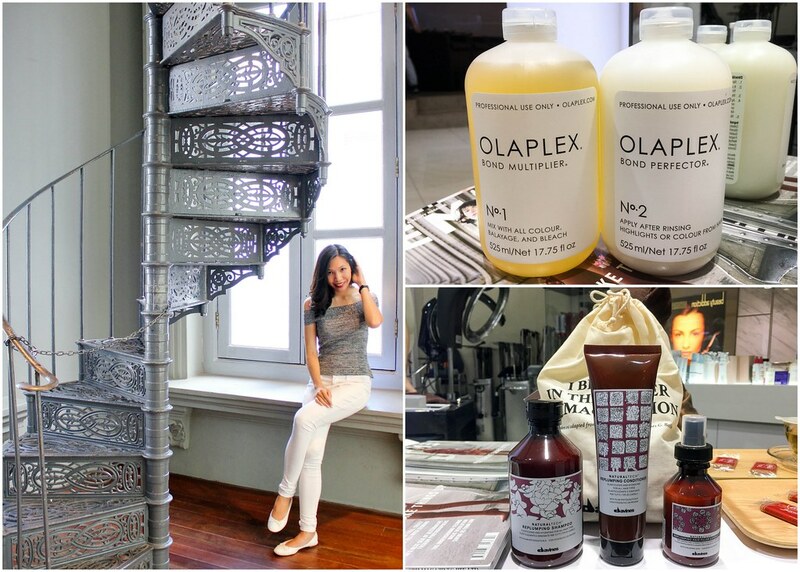 Other than experiencing Olaplex and Davines treatment for my hair, I was also provided with their homecare products, namely Davines’ MOMO shampoo and conditioner, as well as, Olaplex hair perfector. 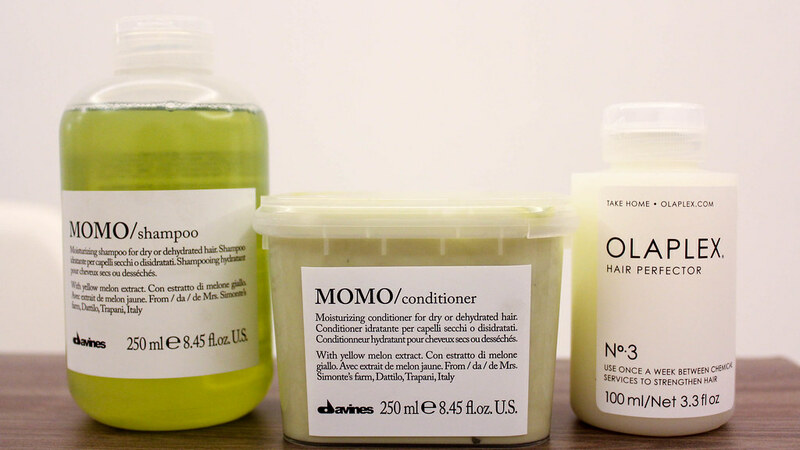 MOMO range of Davines’ products target dry and dehydrated hair. Using Paceco Cartucciaru Yellow Melon extract and Slow Food Presidium, the shampoo and conditioner are rich in water, vitamins and mineral salts, giving my hair prolonged hydration. 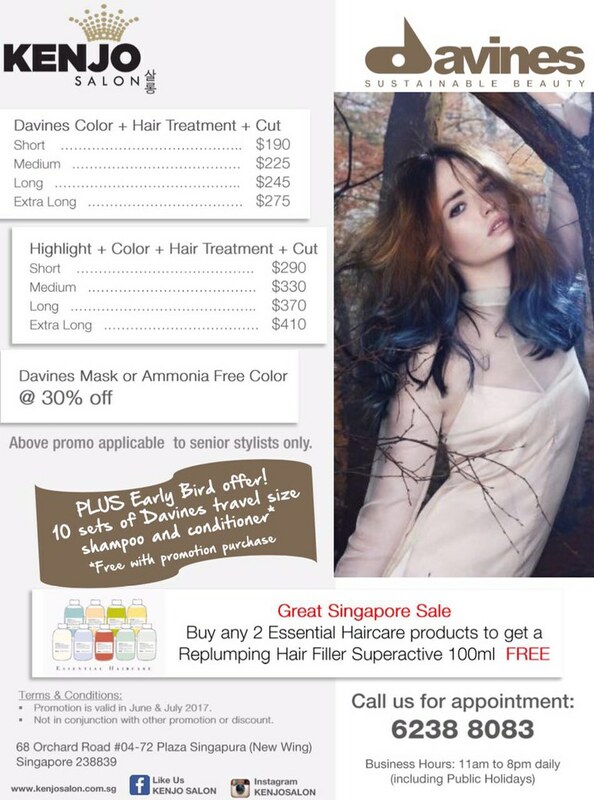 I also found my hair softer and silkier after 2 weeks of using Davines’ homecare products. As for the Olaplex Hair Perfector, you can use it once a week between chemical services to strengthen your hair. It is recommended to be applied an hour before shampoo-ing your hair, or before you head to bed as it is not very sticky. Thanks so much Justin, for pampering my hair with such an amazing treatment using Olaplex and Davines products. Simply quote “Alexis” to enjoy 15% off all ala-carte services at Kenjo salon. Do note that this special discount only applies for your first visit. Kenjo Salon has rolled out discounts during the Great Singapore Sale period, and I’ve attached the price list below for easy reference. If you liked how my hair turned out, don’t forget to book an appointment with Justin before heading down. Opening Hours: 11am to 8pm daily (including Public Holidays). My stylist, Justin, is off on Wednesdays. This post is brought to you in collaboration with Kenjo salon.